The only thing you need to do is join the Travelpayouts partner program and get a personal link for your bookings. 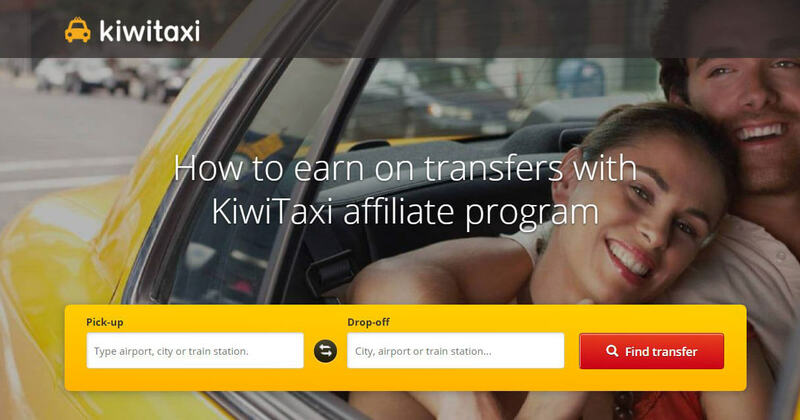 This affiliate program doesn’t require that you pay any fees. In other words, it’s totally free. After an easy registration, you can plan and book your trips. Get your plane tickets from Jetradar.com and your hotel rooms from Hotellook.com. To get cash back, do this through your affiliate link. You’ll get back money — not coupons, miles, or discounts for your next bookings. Real money which you can withdraw from the ATM using your credit card or via PayPal. 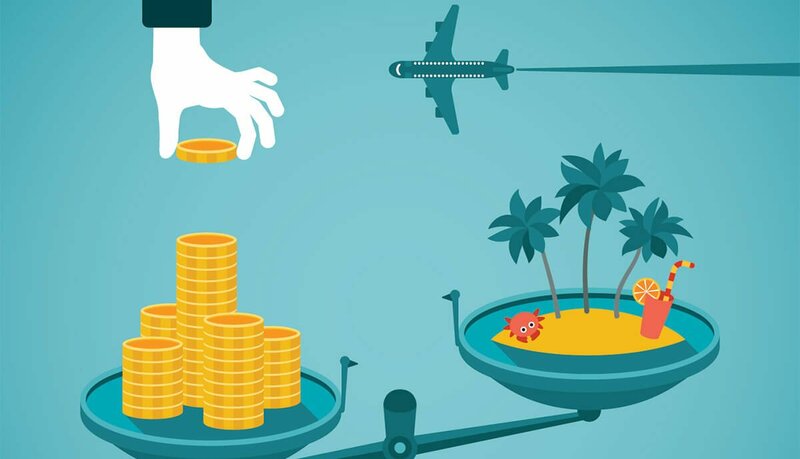 Through Travelpayouts you will get back around 1.6% of your flight tickets and 4.92% of your hotel bookings. For example, if you plan a trip to New York from Delhi for one week in November, you will save around $100. Moreover, you can earn from your friends’ travels by sharing your link with them. You can even share your link in your social accounts to earn more. You will get a commission for every paid reservation made through your link. Open your personal link in your browser and book your travel through this link. To easily access your links, add them to your browser’s bookmarks. You will receive cash back to your Travelpayouts’ account. You can get a payout once per month to your bank account, PayPal or ePayments account. For hotel booking — http://hotellook.com/?marker=AffiliateID. The app is free and it’s a safe way to manage your travels. Share your personal link to get more income. The affiliate program has no limitations in terms of your income. However, spam is strictly prohibited. Payment is made through bank transfer, PayPal or ePayments. Minimum payments are €400 and $500 for bank transfer, $50 for PayPal, and €40 or $50 for ePayments. You can get your money back between the 10th and 20th of each month. However, you must reach the minimum amount for a payout. You can find more information about payouts on this page. What if you don’t reach the minimum amount? For example, you got $40 in April from your travels, but the requirement for a PayPal payout is minimum of $50. In this case, you must earn $10 more in May, or the following months. Previous income doesn’t disappear, so you can earn whenever you’re able to do so. You can easily convert your money to cash in PayPal by linking your bank account to PayPal. Consult the official guide to learn how. A flight’s price can change depending on where you buy it. A traveler must compare offers to find the best price and option. In this area, Jetradar.com is very helpful because it allows you to compare tickets at one place for more than 700 airlines. Jedradar.com offers not only the best prices but also options for flight connections, times and so on. It’s a comfortable and easy way to find the best tickets, and with a filter, travelers can use their criteria to quickly search for options. Advance planning can cut down costs. In addition, being flexible about dates will give travelers the opportunity to find much better options. For example, let’s say you want to plan a trip for one week, from June 7 to 14. If you’re able to start planning the trip in May or earlier, you can check ticket prices for a longer period of time. To get the best results, you can also search for different days, like three days earlier than June 7. You can look for flights to airports that are the closest to the destination in which you’re interested. Sometimes the two closest airports offer very different prices. This means you can save a lot, even if you spend more time exploring your options. Another point is late night or early morning flights are generally have less interest from passengers. This why they are usually cheaper and help to keep the budget low. Include them in filter of Jetradar.com to see the cheapest variants. Low-cost airlines seem to be the cheapest variant. If you’re flying without luggage and don’t care about reserving a seat, this option can be the best one. However, reading airline’s conditions and rules can save you from unexpected costs (e.g., for adding extra luggage, cancelling a reservation or choosing your preferred seat). A sneaky way to pay less is to see whether the airline will allow you to pay in another currency. Sometimes the tickets are cheaper in the currency which is local for the airline. Research the website on which you’re making the reservation. If there is a box to choose the currency, try a different currency and see how the price changes. To avoid losing money, learn about exchange rates and your bank’s policy in advance. This is especially important for credit card holders. You can join an airline company mile program to get extra miles or points from your travels. You can use the miles or points for future trips to reduce costs or get a trip for free. Some of the loyalty programs allow you to spend miles on tickets and other travel services, such as car rentals. While searching hotel options, you might find it difficult to compare the prices of rooms because each hotel search engine lists a different cost for the same room. However, Hotellook shows the prices for the same room in different hotel search engines, such as Booking.com and Agoda. Hotellook also provides reviews and allows for searches by filters. Using these services, you can spend less and get a better room. As always, booking in advance will ensure you pay a good price. A smart traveler looks at hotels not only in the city center but also outside it. Sometimes a hotel outside the city center can be cheaper while still offering the same benefits in terms of comfort or time. References are some of the most important points to consider while booking hotels. Even if your budget is limited, you’ll want to ensure you stay in quality accommodations. Therefore, references can prevent unpleasant surprises. By signing up for newsletters, you can easily manage your bookings. You can benefit from secret prices and discounts just for you. For example, if you have an account on Booking.com, after you have made a few trips, you receive ‘genius’ status. This gives you special prices and offers that are personalized to you; you’ll also save 10%. Some airline companies offer regular discounts, especially if you book far in advance. Such discounts can help you stick to your budget. To find such discounts, join the airline’s newsletter. Travelpayouts also has an email newsletter, which can provide additional information. If the website has a ‘promo code’ area, search for promotion codes on Google. Almost all codes have deadlines. This is why you must include the month in your search query — for example, ‘October promo code for hotels.com 2017’ and so on. By using Travelpayouts, you can get back money on every flight ticket and hotel room. Compared to other travel affiliate programs, Travelpayouts has lower minimum payouts and offers a great cashback service as well as the best price opportunities. Its key products: Jetradar.com and Hotellook.com — provide a great comparison service, which allows you to find the best options in terms of price and conditions. However, in your travel planning, price should not be the only important point. References and conditions also allow you to improve the quality of your travel. Whether you are taking a trip for business or pleasure, you deserve comfortable conditions. To get the best experience at the best price, join Travelpayouts now and add key products to your bookmarks. Online entrepreneurs constantly pursue online sales. They implement various features to engage customers, create an attractive design, and make potential customers come and stay on the website. But what if people came and left without taking a look at the products? What if you followed all the tips to satisfy customers’ tastes, but they still leave and never come back? We have conducted research and analyzed the results. Now we will provide you with the information you must upgrade your sales. Here, we will tell you about definitions, as well as website peculiarities you probably haven’t thought about. 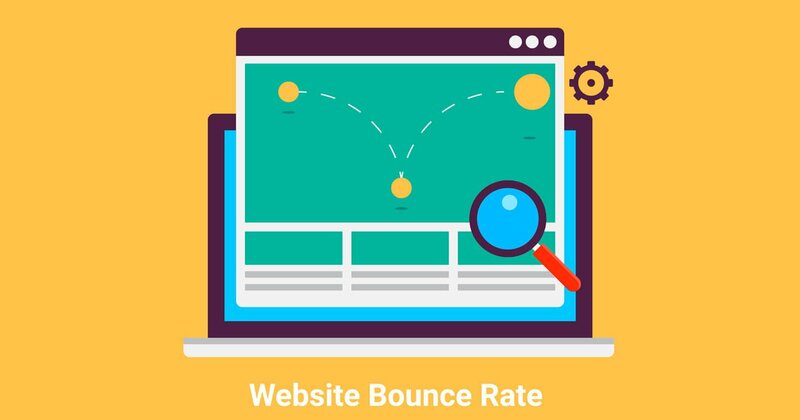 Read on to learn how to improve bounce rate. A lot of people attempt to start travel blogging, but very few of them know how to do it properly. 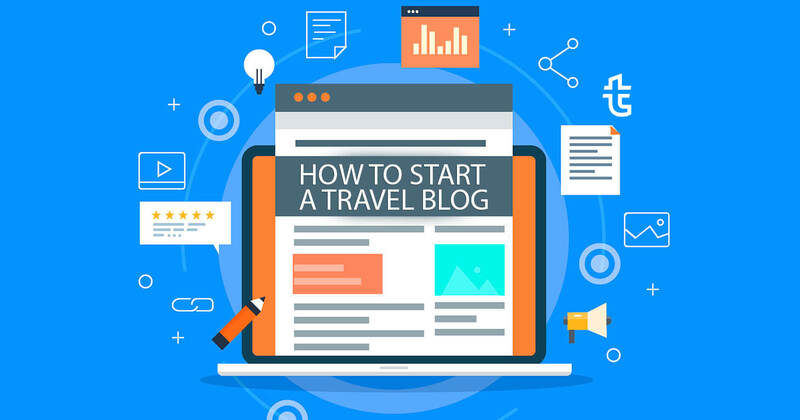 If you want to start a successful travel blog, it is important to find out what you need to do. Here, you will find some tips which will increase your chances of success and your earnings. Travel blogging for beginners is not difficult with our ultimate guide. You’ll learn how to do it all, from A to Z.